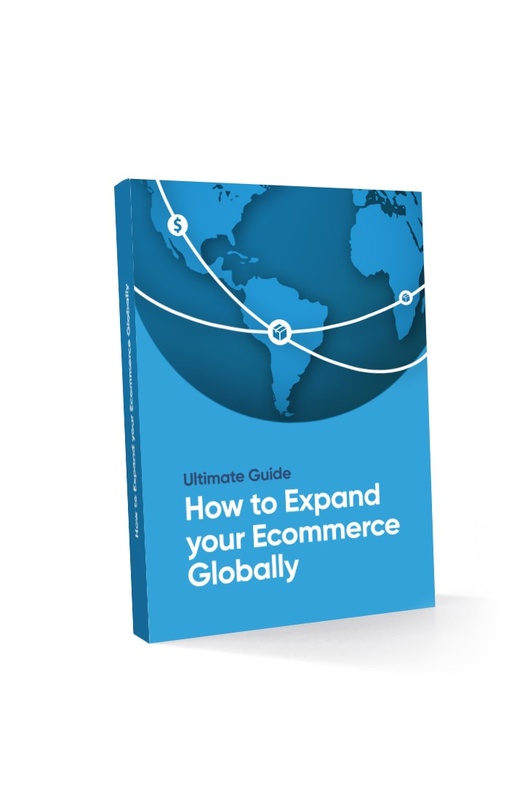 The next step for a successful business is expansion, and more commonly with easy access to the internet and a relatively simple transition into ecommerce (multichannel businesses) this expansion comes with the connotation of being global. A business with a universally sought after product such as retail or a widely used service such as transportation (think Uber), will more likely than not attempt wide spread expansion into several markets with a generalized preparation plan. Following this generalized expansion mindset, you are assuming the buyer-seller relationship is universal throughout the world. That your current way of producing, marketing, transporting, products and services to your consumers will be nearly the same in any other region of the world. Each market region shares similar buyer preferences, economic power, and financial systems, but within those market regions exists unique individual markets that are naturally divided by country borders. Within Latin America alone there are two ecommerce market giants with their own strengths and barriers for foreign business entry. Find out more on the country by reading our article Ecommerce in Brazil. Although a market region will have many underlying similarities, borders create distinctions in financial systems, import laws, currency exchange, and more, leading to differences in consumer accessibility to goods and purchasing power. In other words, customers in the same region may prefer buying similar products but will encounter different barriers when it comes to finalizing purchases from their bordering neighbors. As an ecommerce ecosystem, an ecommerce will be more adaptable, utilize customized media, and engage with customers in these individual markets beyond the buying and selling transactions. Moreover, after a successful market entry, the ecommerce will be well-prepared to expand throughout the entire market region. With its only real competitor being Amazon (who follows a more traditional buyer-seller model), Alibaba is arguably the most successful international corporation of the 21st century. The Alibaba ecosystem consists of national (China-China) and international marketplaces, wholesale retailers, payment services, cloud services, logistics operators, and marketing platforms—all with the goal of making it easier for merchants to do business anywhere. Their differential business model is all apart of Alibaba’s global vision, local win mindset, which directs their expansion strategy to not just understand local markets but to adapt and serve them in order to bring value to local buyers and businesses. With every new market entry the company not only aims for buyer-seller and vise-versa exchanges but also to introduce its other business services. In April 2016, Alibaba acquired a controlling stake of Lazada, a leading ecommerce platform across Indonesia, Malaysia, Philippines, Vietnam, Thailand and Singapore. The marketplace ecommerce platform is mobile and web accessible, offers local payment methods—including cash payments—for all six countries, and handles customer care and returns locally. Launched in March 2012, the now experienced seller to a region of over 550 million consumers is the perfect local partner for Alibaba to enter the market with locals in mind. Over 1300 Australian brands were already selling on Alibaba marketplaces to China consumers before the company established a local office in Melbourne last year. The new presence in Australia has the goal of growing the number of Australian sellers on the platform and of increasing imports into Australia from China. Besides these core business goals, Alibaba aims to expand its cloud services in order to empower smaller businesses, build logistics infrastructure, and establish Alipay in Australia. The most important take-away from the Alibaba ecosystem ecommerce model isn’t that you need to implement it in it’s entirety, but rather that small businesses have a greater opportunity to become global sellers. With preparation and research, your business can apply a global vision, local win expansion strategy. First strategically choose the best market for your business to enter, then conduct consumer research, and lastly prepare your ecommerce. Is your product legal in the target market and will it get through customs? Is there an existing demand for the product or a high potential? If you are in retail, there is usually a high demand for brand names but limited access to them for foreign buyers. The more accessible you can make these already desired goods, using offering local payment options or reducing shipping costs, the more you will be welcomed into the target market. Would your product or service be more competitive than a local option? Although there may be local competitors, depending on the market, your business could come out on top. In Brazil, local cloud computing merchants are known for being overpriced and low quality, making reasonably priced international cloud hosts more desirable (especially if they offer subscriptions via local payments). Do ecommerce consumer demographics like age, gender, computer or mobile users, and average ticket fit well with the product or service you are trying to sell? Considering Chinese consumer demographics, Alibaba was able to gauge that generic wholesale suppliers and brands perform well among Chinese consumers; whereas, Chinese retail marketplaces perform best in Latin America. Probably one of the most important parts of market entry preparation is consumer research. If you’re lucky, you will be able to find annual or semi-annual ecommerce research reports for your target market such as Webshoppers by Ebit in Brazil or AMIPCI in Mexico. Other options are contacting local institutions such as a central bank or local ecommerce leaders. Using the information that is available, try to gauge barriers that customers could encounter when purchasing from you. This could be as simple as a language barrier or as inhibiting as not offering their payments on your site. AliExpress is the number one international marketplace in Brazil, outrunning Amazon, eBay, and Apple. AliExpress is also the only one out of it’s competitors that offers Boleto cash payments and local credit card processing from Brazil. Harder to learn is determinative buying preferences, such as the highest ecommerce shipping cost your target customers are willing to pay or the willingness of a customer to provide credit card data with SSL-certification on your site. Lastly, social media is not the same around the world. Brazil has the second largest Facebook population in the world but in Colombia, YouTube is the most used social media site. Knowing the most popular social channels your target customers use will significantly guide your marketing efforts in the right direction. Market entry is one thing, to prepare your business for undeniable success as an international ecommerce is another. To talk your cross-border ecommerce to the next level, don’t just adapt to your new region but have cultural exchanges and develop relationships. 11.11 in China is a shopping event more than a day like Cyber Monday. With the success of Alibaba and their invitation to invite the world to participate in 2015, the event has grown in popularity and is winning in overall sales in regions outside of China like Latin America compared to Black Friday & Cyber Monday. This can be explained not so much by the invite but because Alibaba discovering in their entry into Brazil, Mexico and other Latin American markets, that ecommerce consumers in the region already purchased frequently from China. Among the most popular goods being wholesale parts and retail, which led to a marketing trend from Chinese vendors selling to Latin America during 11.11. Now other merchants selling to Brazil & Mexico have caught-on to the trend making the event a hit in the region. On the other hand, a more natural assumption for many European and North American merchants looking to sell to Latin America, would assume that buying would increase during February because of the Carnaval season or around other well-known Latin American holidays. These assumptions can lead to less than beneficial marketing efforts and disappointment in overall cross-border sales in these foreign markets. Payment processors more often than consulting groups take the lead as regional partners since they understand the market from a B2B and B2C level. Usually they can help ease the relationship between local financial institutions, banks, and acquirers, and give consulting on how to reach consumers beyond accepting local payments.